I've lived in Chicago on and off since 1995, but before moving to Evanston, I was in Detroit. My wife and I are both from Detroit and had moved back there to be a part of all of the changes that are going on in the city. It didn't work out the way we planned so we came back to Chicagoland and choose Evanston. We came here mainly for the good schools, the relative diversity, and the fact that it's not very suburban. My works deals a lot with identity and race and Evanston is an interesting place to have that discussion. Evanston identifies as a diverse, progressive, and forward thinking community and there is a growing conversation about how well we are living up to that identity. So the interactions and conversations I have around the community help feed my work. My work is about American identity, race, and culture. I tend to draw on a common language of stories, stereotypes, and experiences as a starting point to draw attention to the difference between what we see, and how we are seen. I try to re-present implicit and explicit ideas of race in a way that invites/provokes a conversation with the viewer. 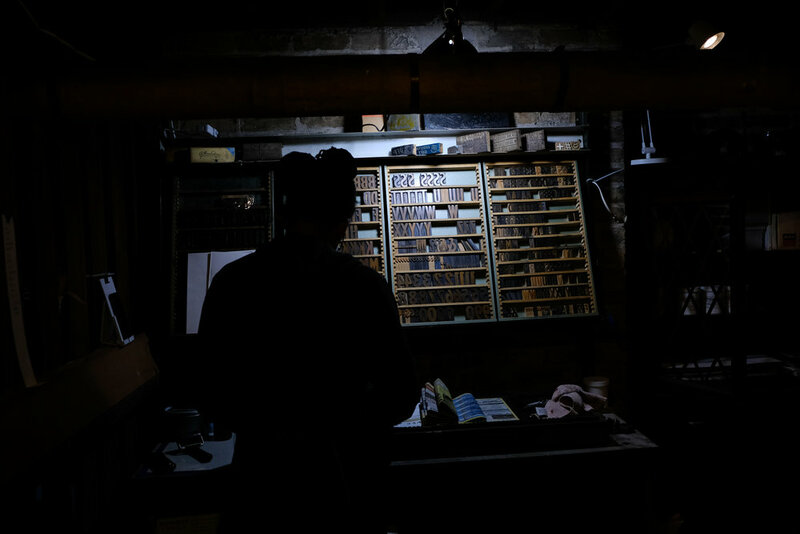 I am a printer and my primary medium is letterpress printing. Ink on paper. So I typically make posters and books often using antique wood and metal type. I'm developing some new work for an upcoming show. I'm showing with Aron Packer Projects on June 9 in Chicago and am creating some new pieces. 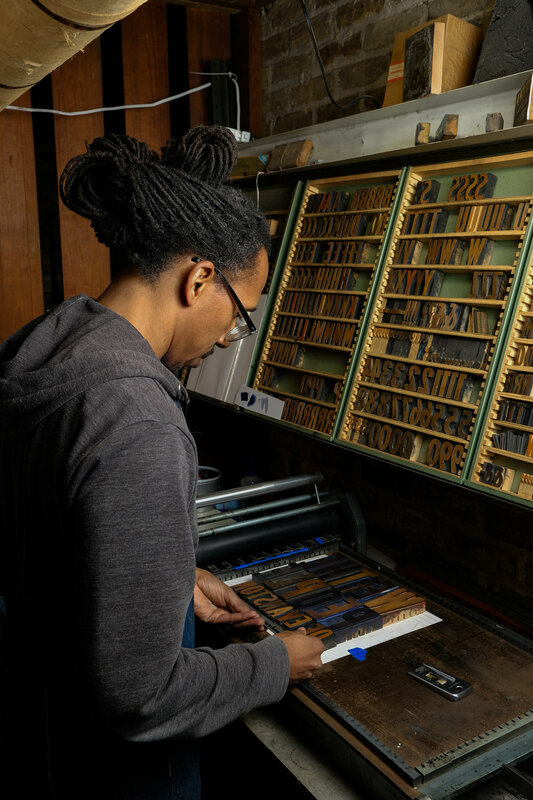 The work is about the language we use around race and will feature work I made at my residency at Hamilton Wood Type Museum this past summer. The Neggar Family sketch from season 2 of Chapelle's Show. Pure genius in the way it tackles race in way that is both funny and cringe-worthy, all built on real insight about the complexities of that powerful word. I'm just trying to express myself and share ideas. I want to spark conversation. I want to spark action. And a printing press is a get vehicle for getting the word out.